Founded and incorporated in 2004, Precision Moving Company is a local independent moving company with an enthusiasm for outstanding customer service. We own and operate 5 moving trucks out of our location in Somerville MA. We employ only full time, highly trained and experienced professional movers. Our reviews on the internet show our dedication to excellence. Our award winning service has been the choice of thousands of satisfied customers over the years. Precision Moving Company is able to safely and efficiently accommodate a wide range of moving services. We have the manpower for a 4th floor walk-up in the South End of Boston or a large 5 bedroom house in Lexington MA. We can send a team of 2 or 3 movers and a 20 foot box truck or a team of 5 to 6 movers and 1 or 2 large 26 foot moving trucks and anywhere in between, depending on the size of the move. We own (2) 20’ trucks that seat up to 3 movers each, (2) 26’ moving trucks that seat up to 5 movers each and a large cargo van that seats up to 5 movers or packers. Our movers have years of experience under their belts, with our core team having an average of 10 to 20 years of experience. We are fully licensed and insured to operate in Massachusetts or anywhere in the United States. We do most of our work in the North Eastern part of the country. Each of our employees is covered by workman’s compensation, as well as short term disability. They are also covered by a company insurance plan. 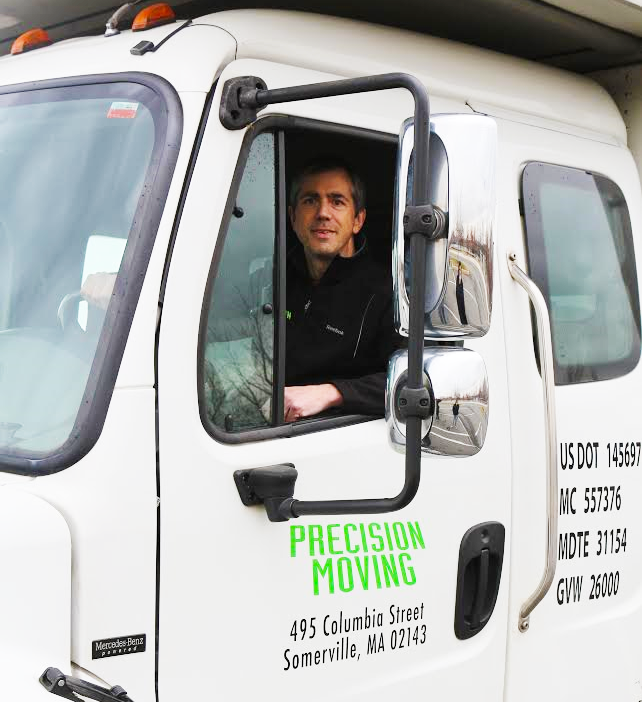 Precision Moving Company has a warehouse in Somerville MA. We have an office here, run our trucks from this location and offer storage, long term or short term. We offer residential and commercial moving services. We are equipped to handle many different moving scenarios. We offer expert packing services, from kitchen dishes to a whole house. We offer a FREE, fully GUARANTEED written estimate upon request. We pledge to offer highly efficient moving services, done with the utmost care and backed with our outstanding customer service. If you have a question about your move, we are available 43 hours every week in our office to help. Precision Moving Company came into existence as a partnership between 2 local individuals. Mike Berberick had worked in the moving industry for 10 years in the Boston area, prior to opening Precision Moving Company. He started as a mover and was promoted to crew chief, the head mover on the job. He became one of the top crew chiefs at a well known Somerville based moving company; and along with running crews, did all of the written estimates as well. He enjoyed the hard work and challenges the job provided. However, he had a dream to open his own company. Jennifer Smith had a back ground in accounting and was the logical choice to help set up the business side of Precision Moving Company. With Mike’s extensive experience in the moving industry and Jennifer’s business sensibilities, Precision Moving Company was born. In his spare time, Mike enjoys the outdoors, especially hiking and camping. In 2000, he and his sister Mary Beth hiked the entire Appalachian Trail, a rugged foot path that led them from Georgia to Maine. They climbed up and over 200 mountains as part of the trail and enjoyed the beauty of the land and “met many interesting characters” along the way according to Mike. Mike also enjoys bicycling, music and reading. Jennifer’s main loves are her son Jagger, her 2 dogs Lyla and Mickey, and gourmet cooking. The Precision Moving Company office is normally occupied by anywhere from 1 to 3 dogs, between Mike’s adopted cocker spaniel Scraggs and Jennifer’s 2 dogs, one of which was rescued as a street dog in Brazil when she was a small puppy. Jennifer’s other interests include painting and collecting sea glass on the beach. Mike and Jennifer share responsibilities at Precision Moving Company. 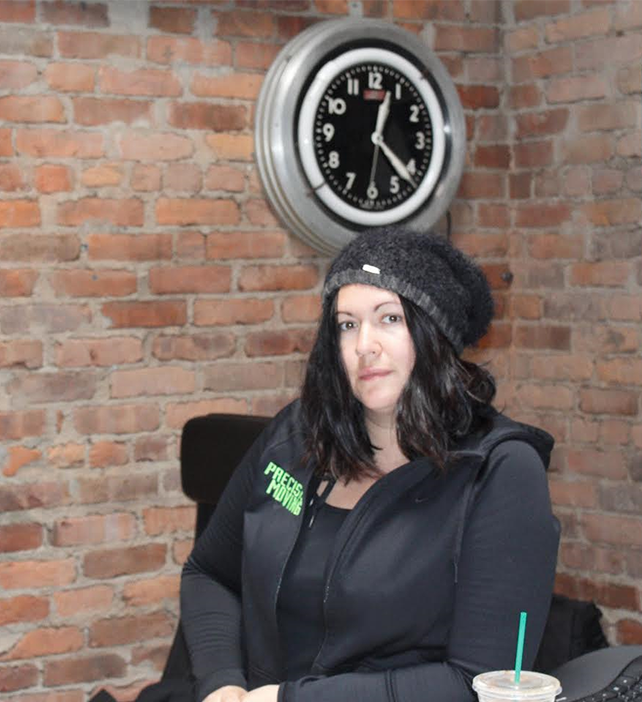 Jennifer runs the office while Mike oversees jobs and provides written estimates. 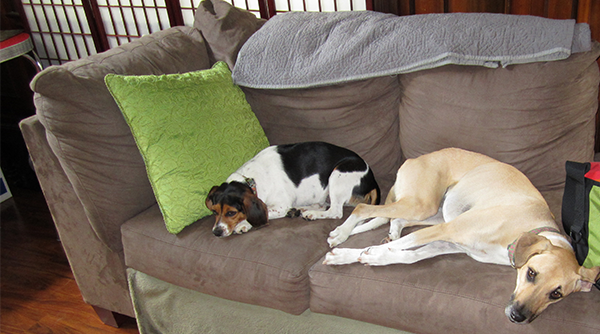 They both supervise day to day operations. Together, they strive to provide the best possible service for each and every valued client of Precision Moving Company. Precision Moving Company was founded on the belief that every customer deserves respect and a fairness. We offer honest, upfront pricing and an expert team of movers on every job. Through hard work, a careful attention to detail and an emphasis on customer service, Precision Moving Company has a long record of satisfied customers. We are experienced handlers of fine furniture and antiques, with the equipment, experience and know how to get the job done right.